Photo, styling and calligraphy by Grace Niu Design. Shop the marble contact paper here. I actually own a glossy version of this (shown above), but since then have discovered a matte version! I have used the matte version but don't have any photos of it unfortunately. If you already own glossy marble contact paper, you can lay down sheets of tissue or parchment paper to "diffuse" the glossiness, which is what I usually do. This helps get rid of glare and also makes it look less fake. If you can, I highly highly recommend purchasing the matte version as it's beautiful and very good quality. Once you have the roll of contact paper, you can either adhere it to a flatter surface, or just stretch out a section and put something heavy on the edges to keep it flat! I adhered mine to a piece of poster board for ease of use. 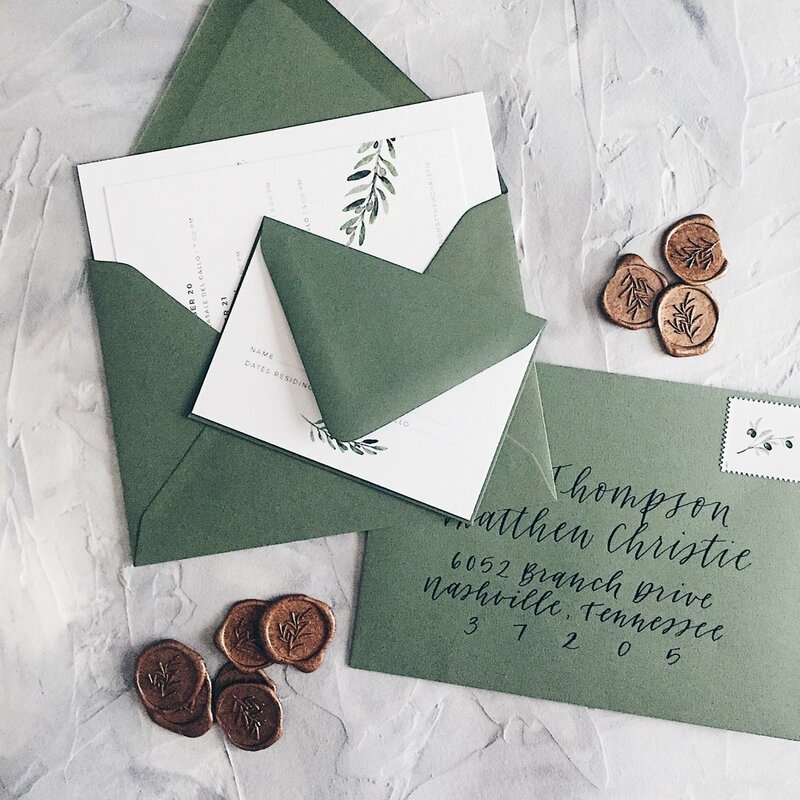 Photo, styling and calligraphy by Grace Niu Design. Shop the surfaces here! You've probably seen these on heavy rotation in my Instagram feed, and for good reason! These surfaces are completely hand-made by my sweet friend Jaime, and they are fantastic. High-quality, rollable and portable, easy to wipe down and clean, and add a lovely texture to photos. A portion of each sale is donated to a cause that's dear to Jaime's heart, which you can read more about on her website! There are currently 4 colors available, and each color is extremely versatile. I own the Wool, Stone, and 2 blush pink sample sale ones that are not currently available. I definitely use the Wool and Stone the most! Photo, styling, design and calligraphy by Grace Niu Design. Photo by Melody Joy Photography. 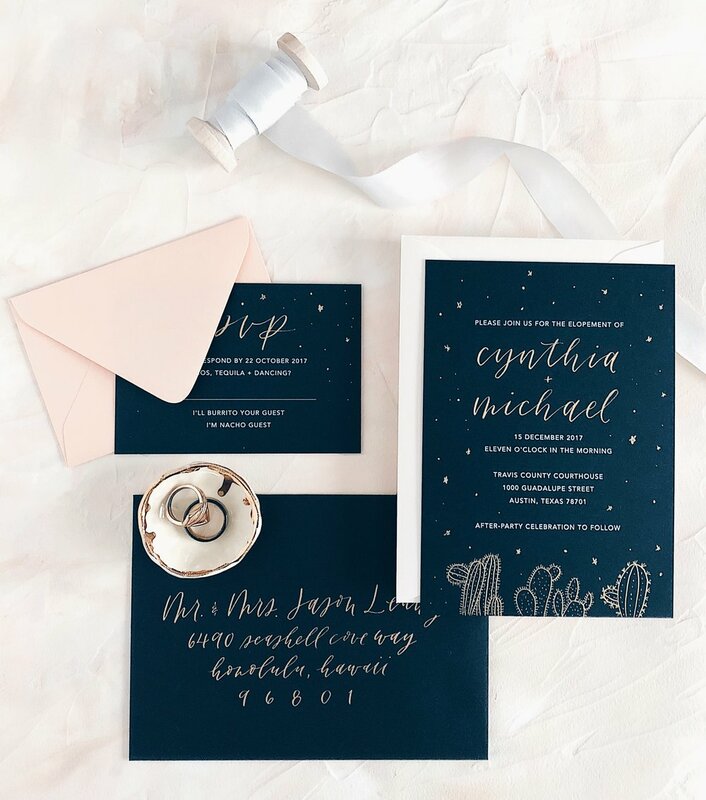 Styling, stationery design and calligraphy by Grace Niu Design. Fabric is a great option especially for wedding-related things like stationery or bridal accessories, and I've found that one of the best ways to use it is to iron it out flat, and then wrap it around a sturdy piece of board. This way you won't have to iron it every single time you want to use it, and it will stay very flat and unwrinkly! I usually head over to the fabric store and see what neutrals they have that are affordable (muslin and cottons are good places to start), and then buy a yard or so of each one that I like. If you're interested in a more organic look like in the second photo, you can also leave it loose, but you'll just have to be sure to iron or steam the fabric as necessary when you want to use it! A very simple way to get a solid backdrop of color is to buy mat boards! I get mine from Blick, and depending on what size and brand you buy, they can be pretty affordable. Beware that the colors shown online may look pretty different in person, so it's usually best to go to your local art supply store to look in person. In the two photos above, I used a black and a light gray board, respectively. What's your favorite photo styling backdrop? I'd love to hear about it in the comments!